Need a Map of Denarau in Fiji to help you make decisions on where you would like to take your next luxury Fiji Holiday? 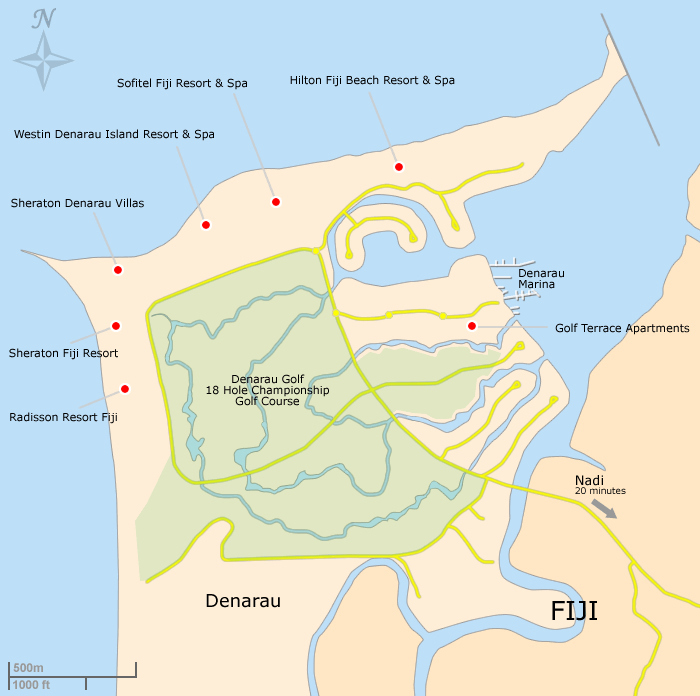 This interactive Denarau Map allows you to quickly and easily see the location of all the resorts and hotels on Denarau Island. A large piece of this man made island is set aside for the Denarau Golf and Racquet Club. Port Denarau and Denarau Marina is the departure point for the islands in the Mamanucas and Yasawas.